Carbondale Board of Trustees and Carbondale Mayor petitions are available. Deadline to submit petitions is January 22nd at 5:00 pm. Town of Basalt candidate petitions are available and must be turned in by January 22nd. KDNK presents Amy Goodman of Democracy Now live in person at The Temporary in Basalt. Meet-and-greet reception tonight from 5:30-6:30. Public talk at 7. All proceeds benefit KDNK and The Arts Campus at Willits. Tickets available now at kdnk dot org. Aspen Snowmass presents the Bud-Light Hi Fi Concert Series featuring DJ Z-Trip at Snowmass Base Village at 4. Half Lives Exhibition opens at the Art Base in Basalt at 5. Frank Martin plays Friday Afternoon Club at 5 at Glenwood Caverns. Aspen Before Lifts and Until We Meet in Aspen shows at the Limelight at 5:30. 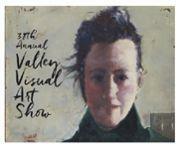 Carbondale Arts presents the Opening Reception of the 38th Annual Valley Visual Arts Show at the R2 Gallery at 6. CMC Art Share presents You Changed Nature at Morgridge Commons Glenwood Springs at 6. The Aspen Laugh Festival presents comedian Matt Iseman at the Wheeler at 7:30. Dave Notor Band play Home Team Bar-B-Q at 6. To the Ends of the Earth shows at Carbondale Library at 6:30. Tatiana Eva Marie and the Avalon Jazz Band play the Little Nell at 7 and 9:15. Darkest Hour shows at the Crystal at 7:30. Mighty High Tide play at Slow Groovin’ Barbeque Snowmass at 10. And The Spazmatics play the Belly Up at 10. Aloha Mountain Cyclery presents the Rassle the Castle Fat Bike and Snowshoe Race starting at the Redstone Inn at 9am.